Home Bins, street care and recycling What can I put in my bin? 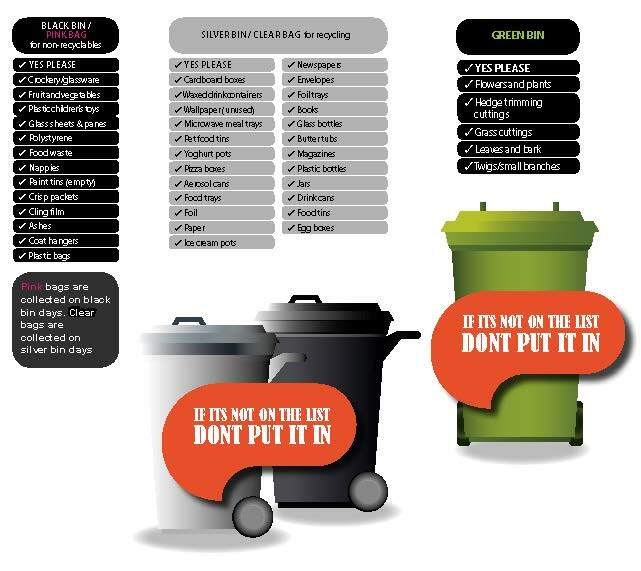 Find out what you can and can't put in your waste or recycling bin or bag. Please note wheelie bins or bags need to be available at the edge of your property by 7.30am on the day of collection.